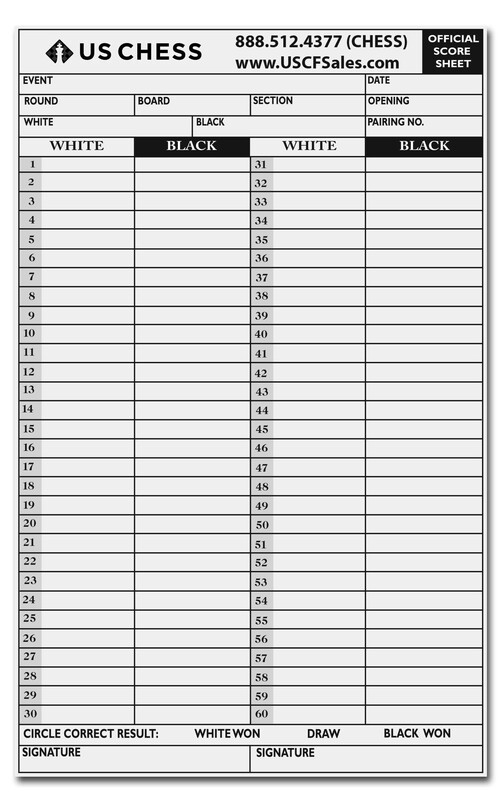 These Official US chess Self-Duplicating Score Sheets allow you to make copies of each game without the mess of dealing with carbon copies. These scoresheets come with two parts, which are attached to each other at the top. When the game is over, When the game is over, players hand in one copy and keep the other for their records. This is for a one (1) carbonless score sheet.